We are a group of researchers who conduct studies about how voters learn about issues from the news and how they form their opinions on various topics. This group is headed by Professor Matt Levendusky. Currently, undergraduate students Liza Crichton and Leah Hess, as well as Dom Stecula, a post-doctoral researcher at the Annenberg Public Policy Center, also help supervise these projects. 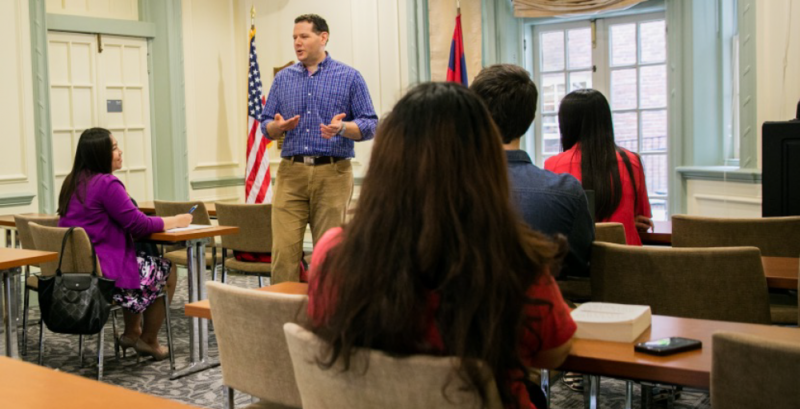 For many of our studies, we recruit subjects in the metropolitan Philadelphia area. We are currently recruiting subjects for our current study of how group discussion shapes people’s attitudes. If you are interested in participating, please send us an email or visit our signup page.